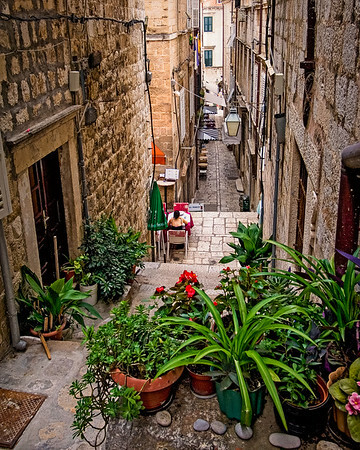 DUBROVNIK, CROATIA - A walled city on the Dalmation coast of the Adriatic Sea. Origins of the town date back to around 600 AD. The wall was built in the 1200's and added to over time. These images were taken on a trip to this region of the world in September 2005.